These Russian-made beauties are unique in shape and strength. An internal ribbed design allows for easier handling and maximum suction. The “Big Mouth” measures 3” in diameter and is perfect for large areas of the body. The medium size works great for arms, neck and shoulders, and the smallest cup features a curved rim and oblong design that is wonderfully versatile. 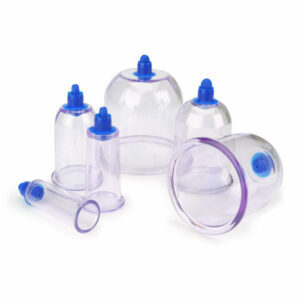 Clear silicone enables viewing through the cup to observe changes in the skin and muscle being treated!